In 1878 an Irish shoemaker named Oliver Moore arrived in New York City and began a bespoke shoemaking business. At a time when bespoke shoes where far more the rule and not the exception, Moore's shoemaking was soon recognized as New York's finest. The company became recognized for building the most walkable and elegant gentleman's shoes and boots. The old firm was hallmarked by the concept of " excellence in appearance and comfort in wearing ". Today the firm continues this great tradition having not changed the construction values of its products since the beginning. All manufacturing proccesses are still done entirely by hand. Unlike other firms whos ready to wear products have little relationship to the standards of their founding houses. 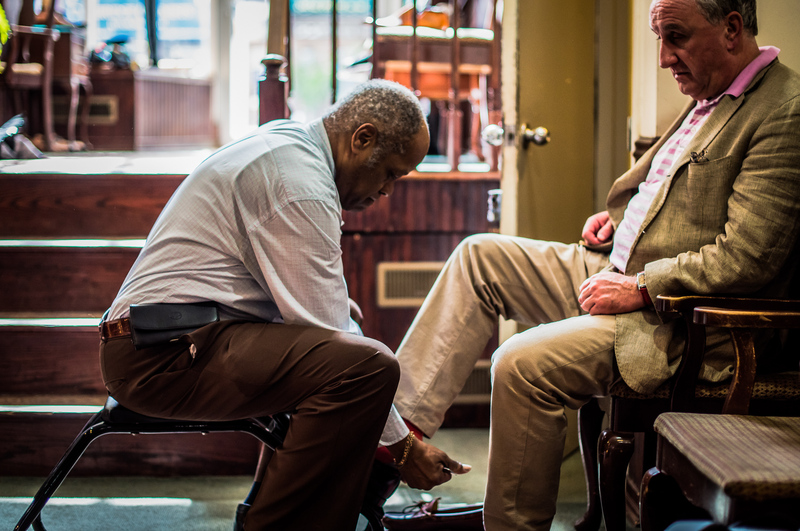 Oliver Moore shoes are only produced in the bespoke Oliver Moore factory in New York City. Other than the use of stock sized lasts there is no variation in an Oliver Moore product. The Oliver Moore company has been historically noted as one of the first purveyors of seperate left and right angulated arch last shoes. The Oliver Moore shoes all exhibit interior constructions that are not found in other footwear. 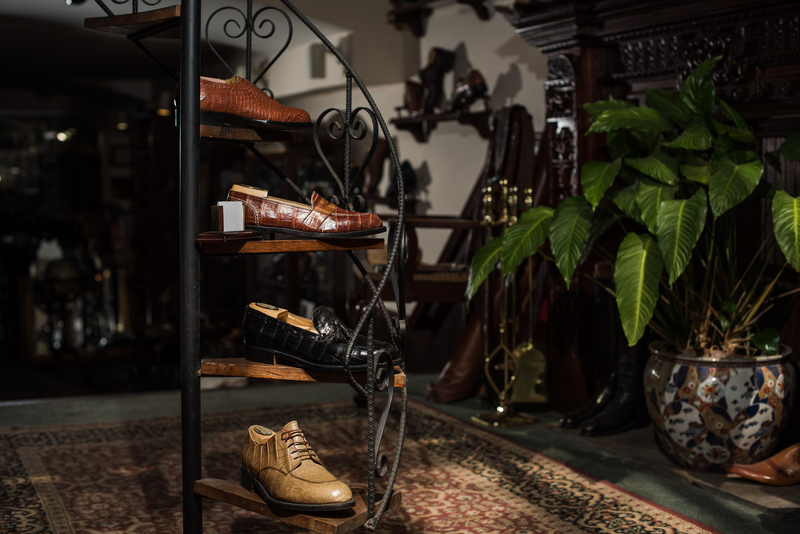 Noting that many potential customers are not able to visit the shop in New York we have elected to offer our true handmade shoes in standard sizes. We have selected from our vast pattern files some of the most often requested styles executed in all american alligator hides. Nothing expresses the all american nature of our constructions as expressly as our alligator shoes. The Oliver Moore company incorporates only the finest of all components and represents an unwaivering commitment to the standards of the original Oliver himself. Many famous personalities have worn our shoes including Teddy Roosevelt, Jack Dempsey, Gene Tunney, George Raft, including a Pope from days past. Walter Cronkite, David Rockefeller, and James Gandolfini among many others fill out the modern files.